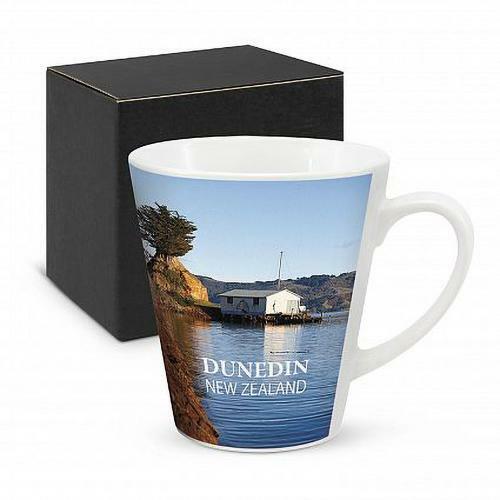 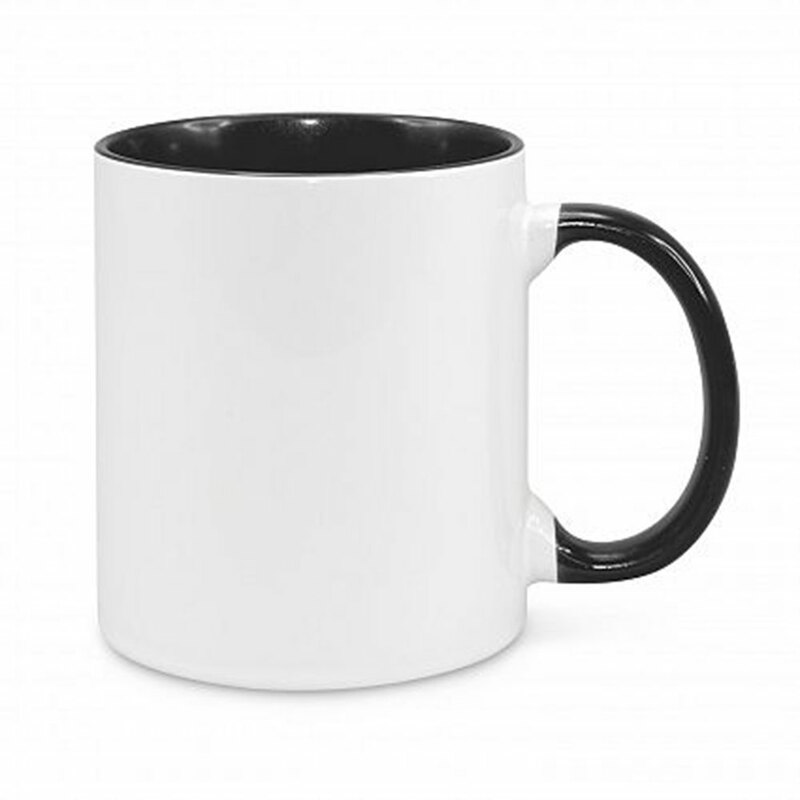 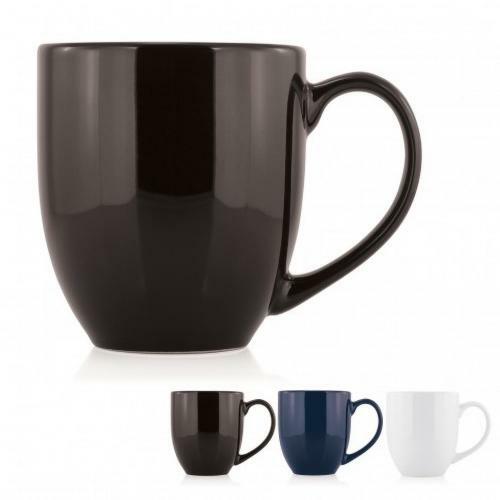 White, round D handle stoneware coffee mug, comes nicely presented in a plain black gift box. 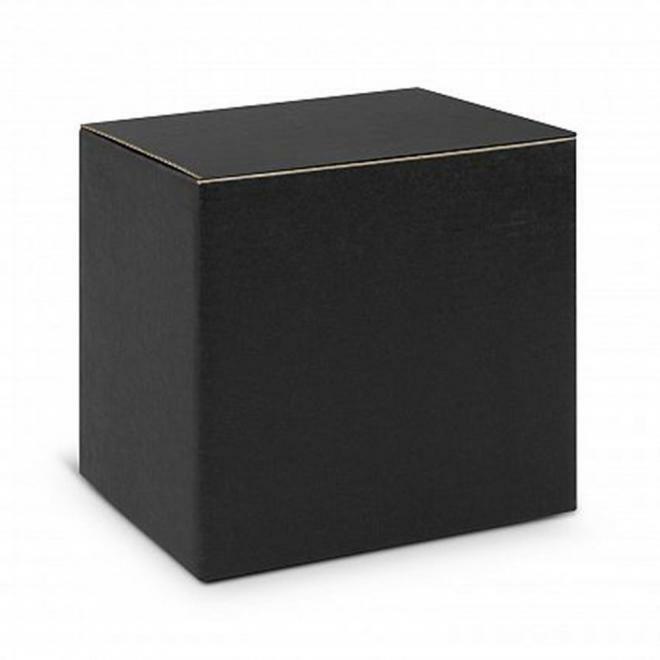 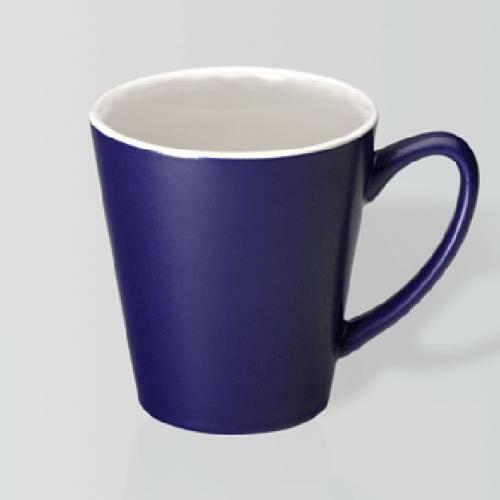 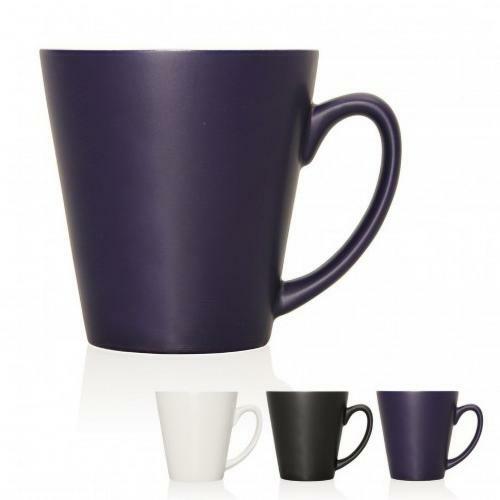 Designed for full colour wrap around branding which is dishwasher safe. 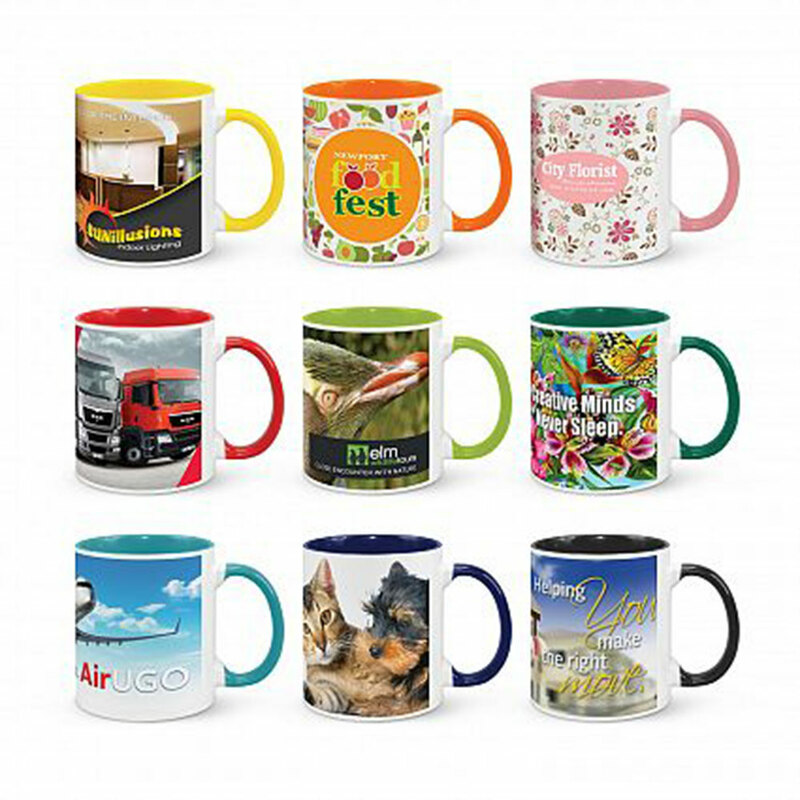 ?Two toned, stoneware mug, with full colour wrap around print.